Our company is highly quality conscious and works to attain maximum client satisfaction. For this, we are offering quality approved Metal Enclosures to our customers. 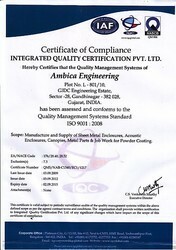 Our entire product range is manufactured according to the International quality standards. 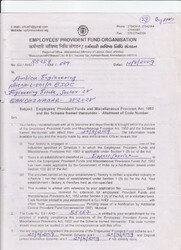 We follow quality control norms right from procurement of quality material and maintain till the dispatch of processed products. The entire production stage is carried out under the strict vigilance of our expert quality controllers to ensure that flawless quality products are delivered to our customers. 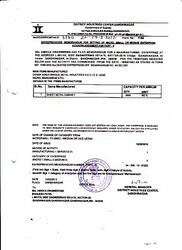 District Industries CEntre, Gandhinagar, issues the certificate for Entrepreneur Memorendum for Micro and SME's to Ambica Engineering. 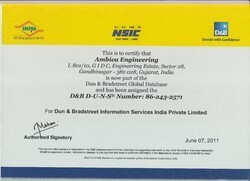 NSIC certifies that Ambica Engineering, is now the part of the Dun & Bradstreet Global Database.